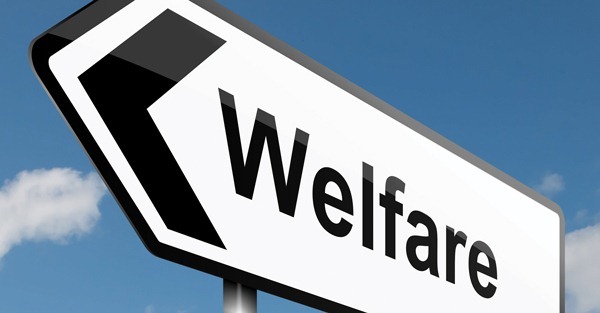 Should Welfare Recipients Have to Take a Drug Test? The unemployment rate in Tennessee is nearly back to where it was in the early, unpanicked days of the Great Recession. Currently, 6.3 percent of residents are without work; the rate was just slightly lower, 6 percent, in the spring of 2008. Those numbers don’t speak to the tumult in the job market that occurred over the past six years in Tennessee, as it did in the rest of the country. The jobless rate reached 11 percent in the state during the summer of 2009 and has slowly dropped back down. But for state residents who are unemployed, underemployed, or otherwise having difficulties making ends meet, coming by some help from the government is more onerous today than at any point in the recession years. To receive benefits from the state’s Temporary Assistance for Needy Families program, residents may now be required to undergo a drug test. The law does not extend to food stamps, but while TANF dollars can be used to pay for rent, child care, and other bills, they’re used to keep food on the table too. This may be more true now than ever, as food stamps were cut by $8 billion in the latest farm bill, and even before then, antihunger groups argued that the program was underfunded. The new hurdle comes courtesy of a law passed in 2012. The bill requires that welfare recipients be tested for drugs if they fail to pass a drug-use questionnaire. Those who refuse to answer the questions on the survey will also be required to take a test, which looks for the presence of marijuana, cocaine, methamphetamine, amphetamine, and opiates. According to the ACLU, recipients of TANF benefits are no more likely to use drugs than more well-off Americans, failing the drug test can result in a person being cut off from assistance. The benefit won’t be immediately revoked, but if the recipient fails a follow-up test after six months of treatment for drug abuse, he or she won’t be able to receive any TANF payments for six months. As such drug-testing requirements go, the Tennessee plan is relatively tame, but when you consider, for example, the growing acceptance of marijuana use across the country—legal and illegal—it seems absurd to cut off benefits if someone is unsuccessfully treated for addiction to a nonaddictive substance. Even for harder drugs, which are used by rich and poor alike, the law scrutinizes TANF recipients simply because of their economic status. “This law singles out limited-income people and requires them to submit to humiliating and intrusive searches of their bodily fluids because they need temporary help making ends meet,” Hedy Weinberg, executive director of the American Civil Liberties Union of Tennessee, said in a statement. The group fought against the law when it was being considered by the legislature two years ago and is now seeking residents who are being adversely affected by the regulation to be defendants in a lawsuit against the state. There is a precedent for lawsuits overturning drug testing programs tied to welfare benefits. In Florida, a far stricter program that required drug testing for all welfare recipients was deemed unconstitutional in 2011.